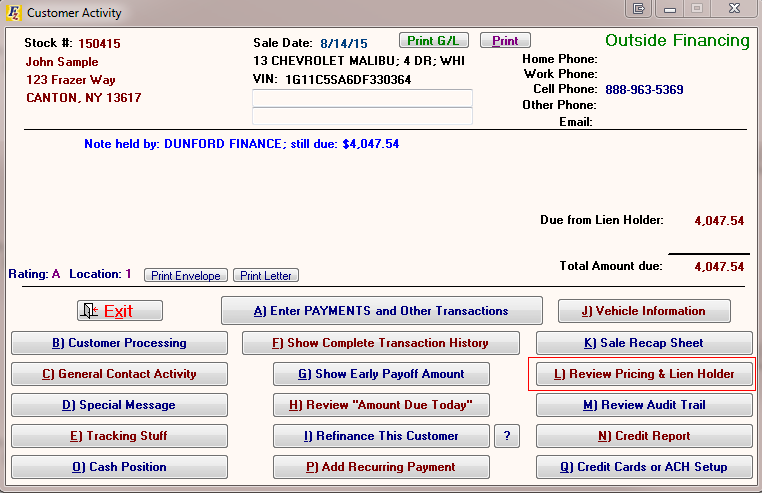 If you assign a Lien Holder while entering a sale, and wish to change that Lien Holder later on, you can do so in the Customer Activity screen. 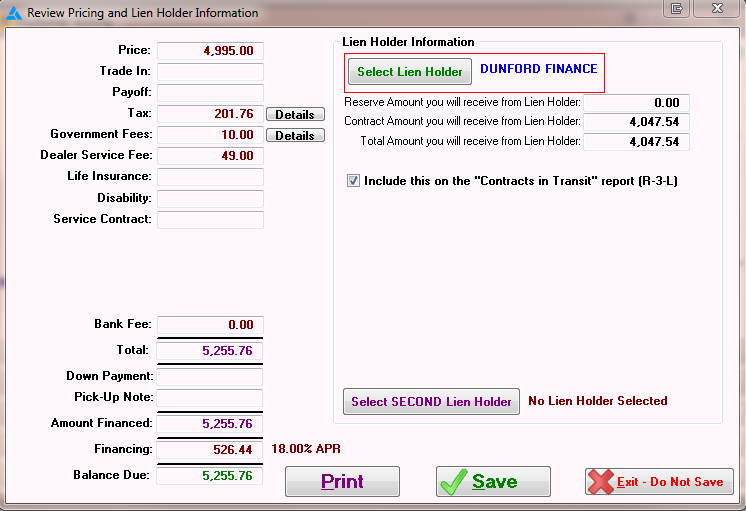 You can also change the amount that you are due to receive from the Lien Holder or the Reserve Payment on this screen. First, click on option L - Review Pricing & Lien Holder. To change the Lien Holder completely, simply click on the Select Lien Holder button under "Lien Holder Information" and select a different Lien Holder. You can also use this option to modify the existing Lien Holder, by highlighting your Lien Holder in the "Select Lien Holder' screen and clicking the Change button. Currently there is no way to fully remove a lien holder from a deal. We recommend adding a Lien holder with no information named "N/A" and select that for deals that should not have a lien holder attached. When reprinting paperwork N/A will print in the lien holder field.